I have test written in spock. 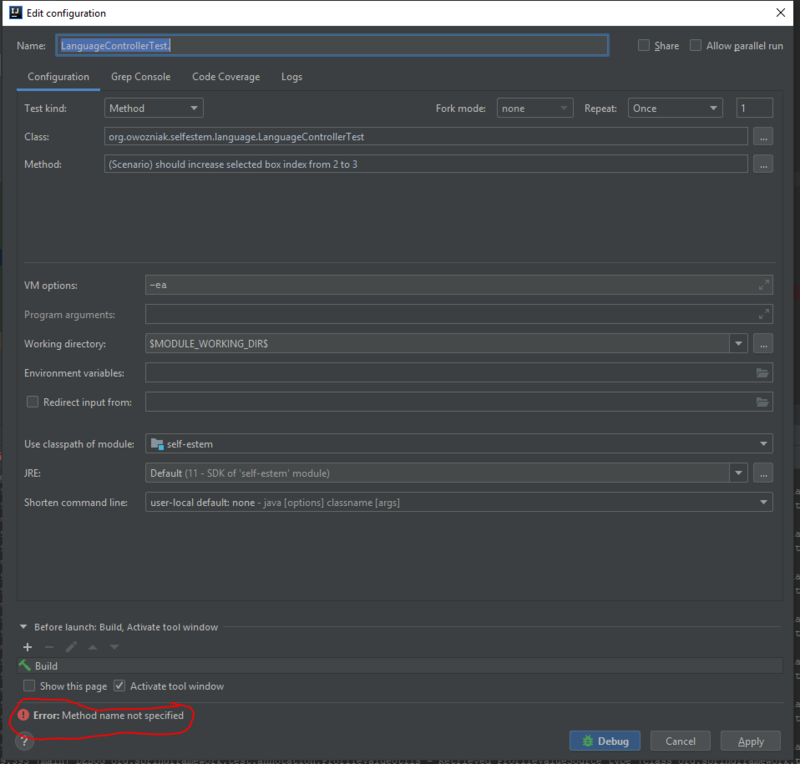 Each time when I'm running tests IntelliJ saying that the configuration is wrong - but if I press apply and etc I'm able to run these tests - What I can do, to don't see these messages? Any ideas how to get rid of these? For now I have created issue. 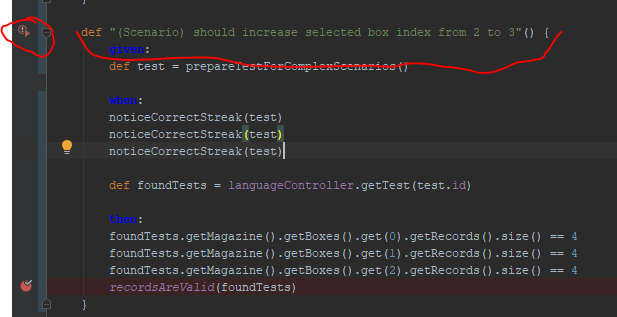 IntelliJ IDEA JUnit configuration stores method name and parameters signature in a single string instance. While this works for Java (it doesn't allow parentheses in methods names), this fails for other JVM languages. This issue is not related to Spock, it's reproducible for arbitrary JUnit test class written in Groovy. Follow YouTrack ticket for updates. Not the answer you're looking for? Browse other questions tagged java spring intellij-idea groovy spock or ask your own question. How do I get IntelliJ to recognize common Python modules?